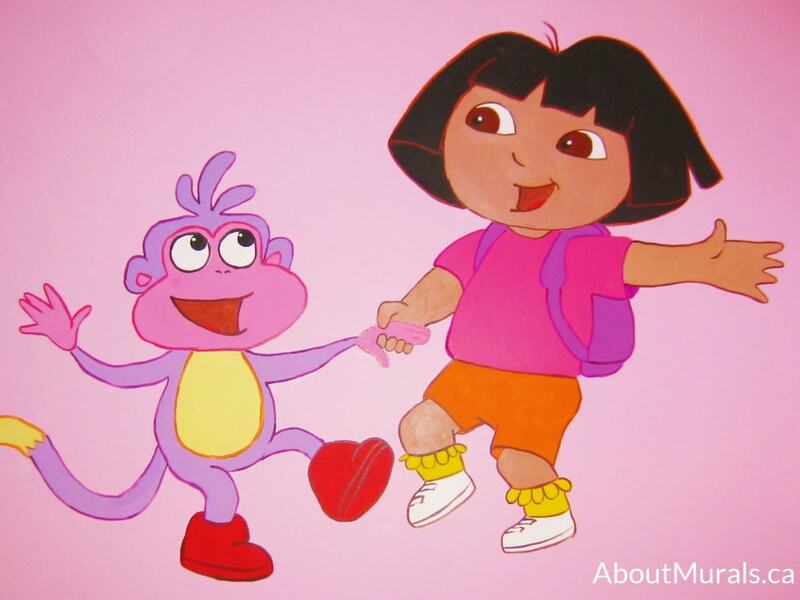 Even though this Dora mural was painted in Grimsby, Ontario, I also sell adorable kids wallpaper murals that ship for FREE within Canada and the USA. They are super easy to hang and fully removable when you’re ready to redecorate! 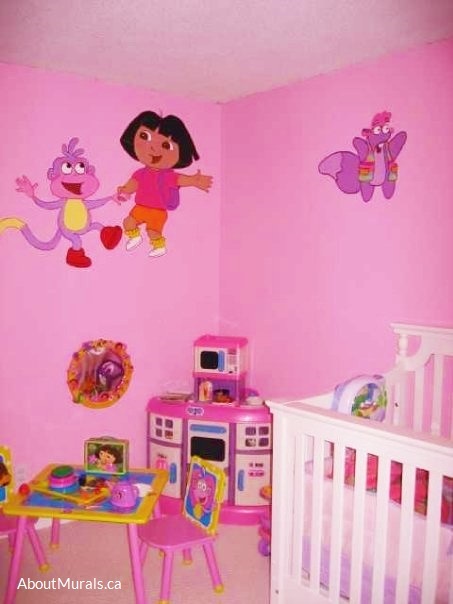 Are you thinking of adding a Dora mural to your kids bedroom? 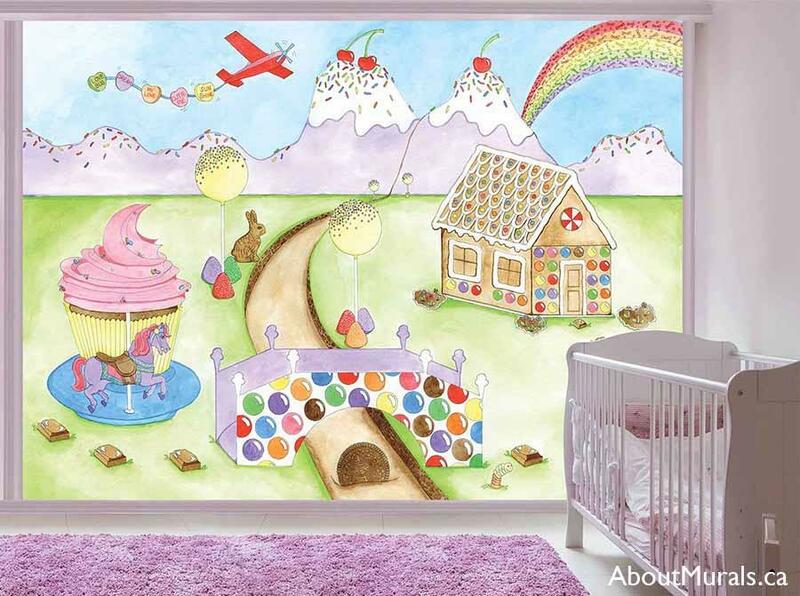 Here are some pics of a mural I painted to give you some ideas for your own space. 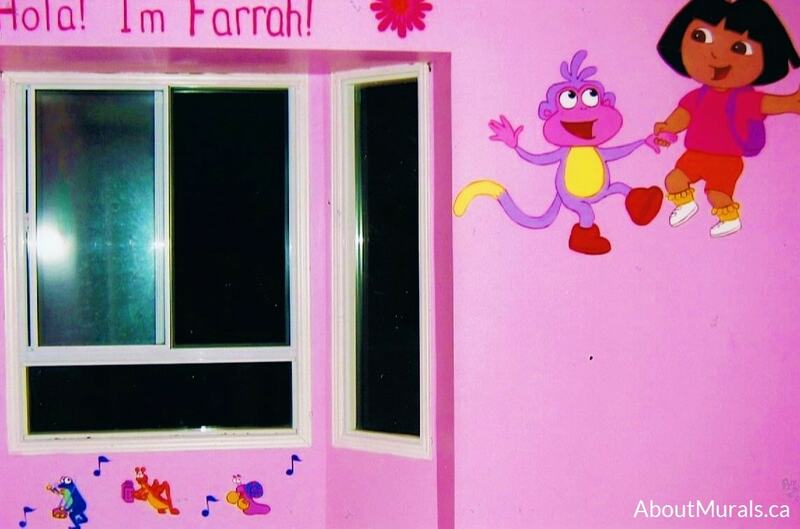 Farrah is a toddler who is in LOVE with Dora the Explorer – and all things pretty. Her mom, Andrea, had me paint her fave characters in this Dora mural including Dora herself, Boots and Tico. 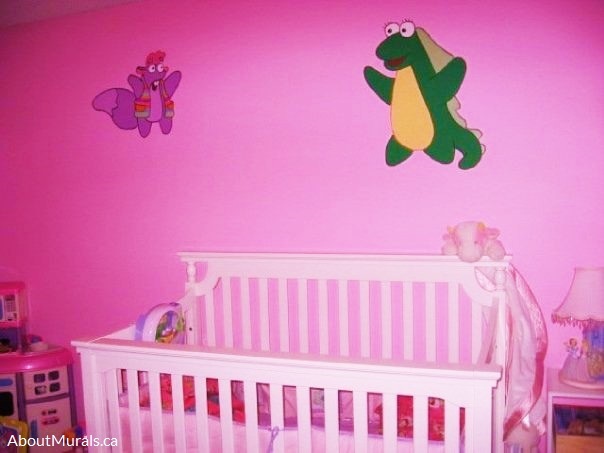 I painted Tico and Isa over Farrah’s crib, to give her something to look at while she falls asleep at night. 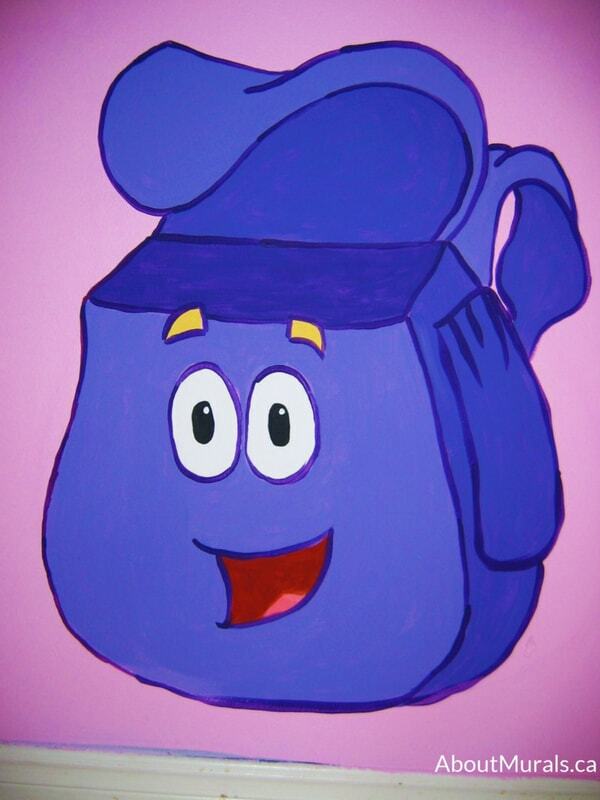 And here’s the rest of the gang: Backpack, Map, Swiper, Benny and the Fiesta Trio – painted all over Farrah’s pink bedroom. 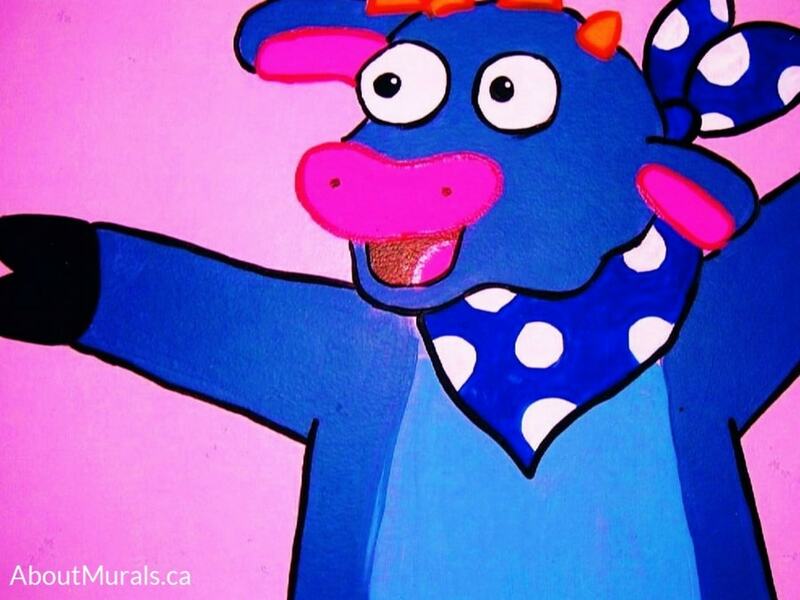 I only use non-toxic acrylic paint and no-VOC latex paint when painting murals, so it’s safe for your kids to play and sleep in their room – even on the night that I finish painting! My wallpaper murals are eco-friendly, too. 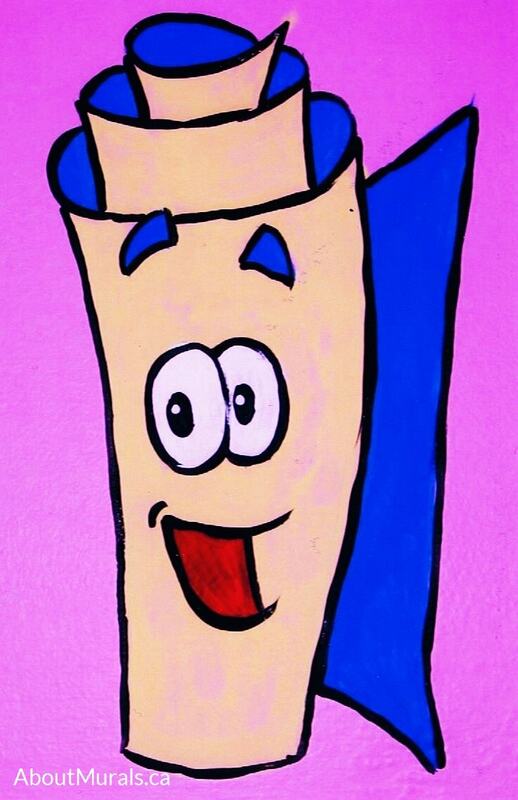 Still thinking of a Dora mural for your kids bedroom and like my style? 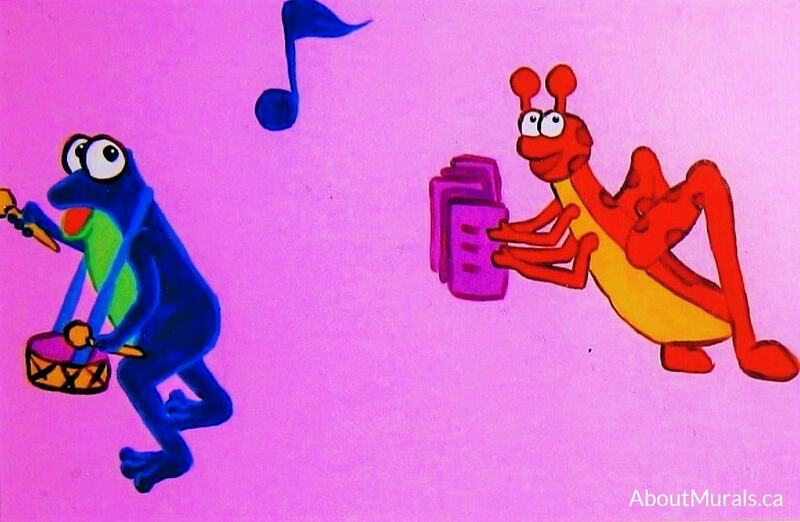 Let’s work together! 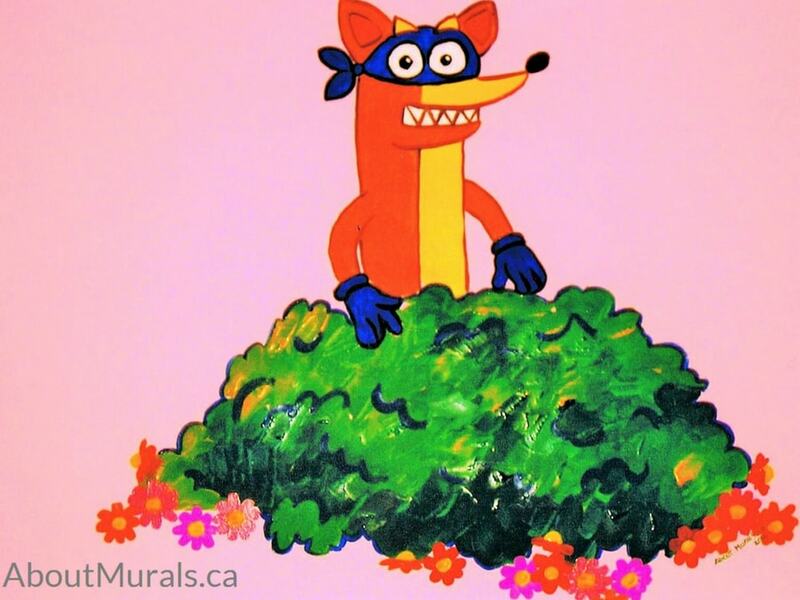 I’ve been hand-painting murals for kids, from Toronto to Niagara Falls, since 2005. I’ve even painted one for a Mike Holmes TV show! 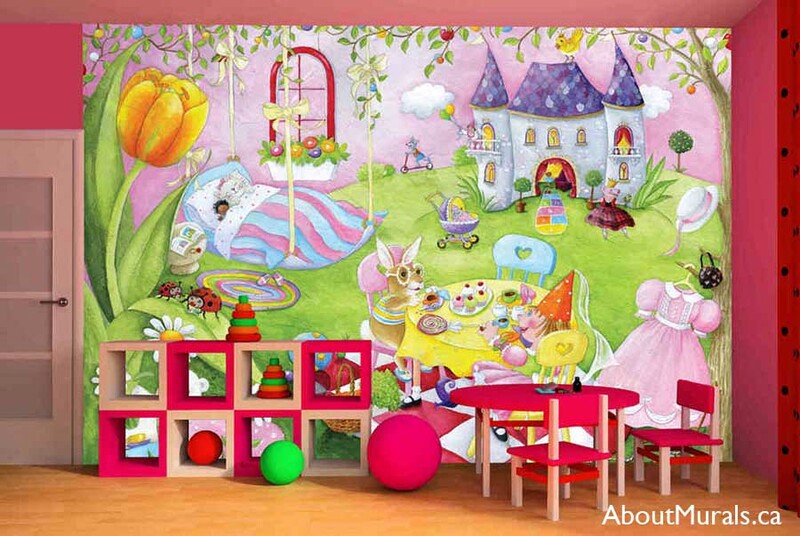 Or…Check Out My Removable Wallpaper Murals! Join my newsletter community and I’ll keep you posted on the latest promotions…and maybe even send you a hot coupon code!